The beaches of Liguria are undoubtedly among the most beautiful and clean in Italy. With the mountains overlooking the sea and the turquoise and crystalline waters, they offer a breathtaking view that will make you fall in love. From the pebbles to the rocks, to the fine white sand, the Ligurian beaches are very different from each other even a few kilometres away. 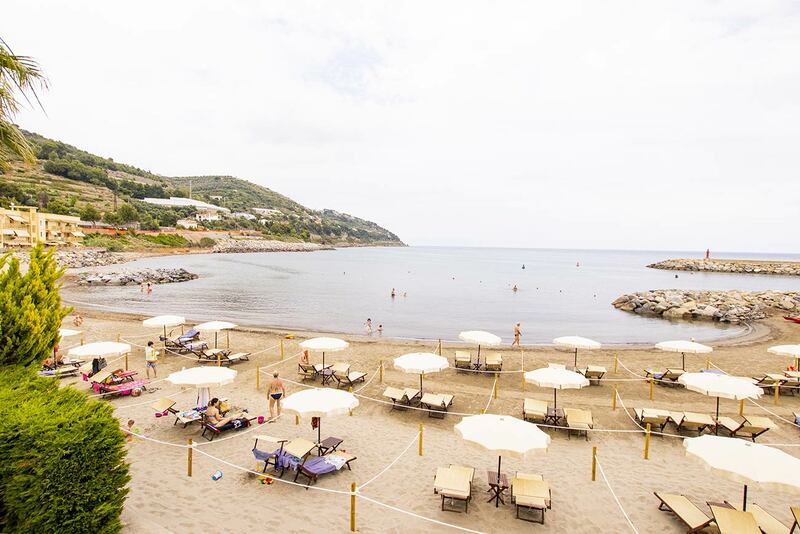 The beach of San Lorenzo al Mare is characterized by light sand bathed by a turquoise and crystalline sea with a gently sloping seabed, which allows even younger children to have fun on holiday and enjoy the sea in complete tranquility. 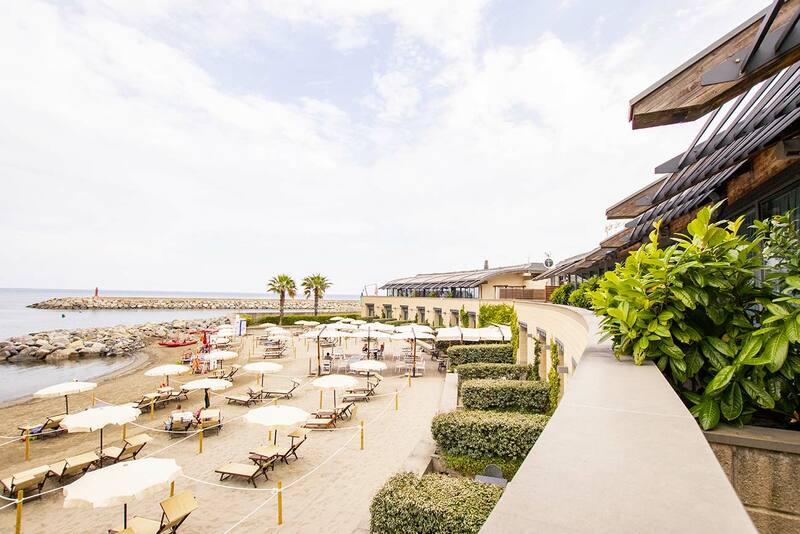 The hotel overlooks its own private beach reserved for guests, complete with every comfort. 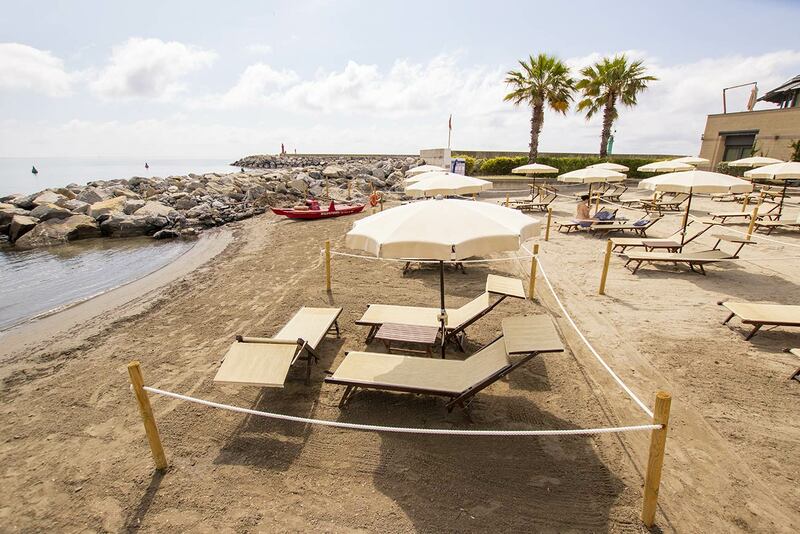 Cabins are available on the beach and beach towels for sunbeds are also provided. 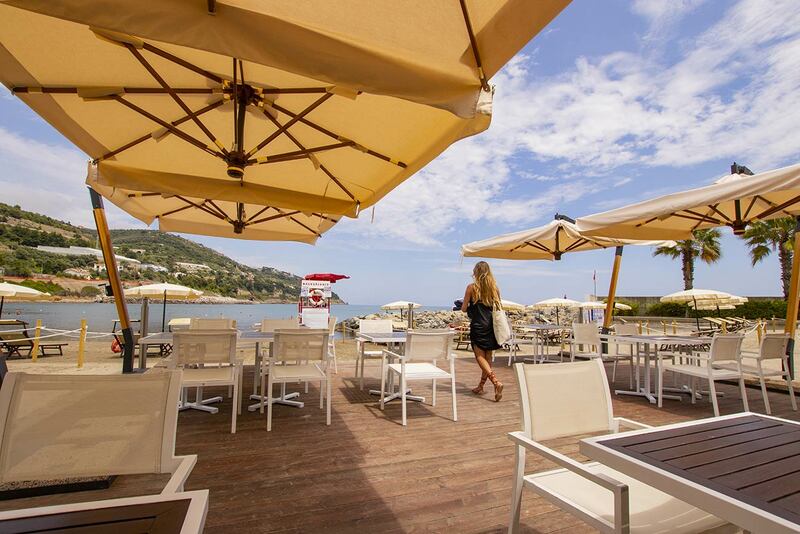 Modern equipment, staff always available for a punctual and guaranteed service to give you a beach holiday of relaxation, sun and enjoyment in Liguria. Write to us or book using booking online!